It’s easy to underestimate how difficult moving home from London to Cambridge or moving home in general can be. You think as long as you begin your preparations, say six weeks in advance, then you should be all right. You may even think you can do it on your own and not need a removal company at all. This is a mistake so many people can make and in the quest to save some money you can end up paying out more money than if you hired a good, honest removal company like ours in the first place. Hiring a reputable, reliable removals firm from the beginning can make your life so much easier. The great thing about our particular company Moving Service is our prices are so inexpensive yet our quality of service is the best in the removals business. In fact why not find out for yourself by calling 020 8746 4402. We’ll give you a free quote so you can be quite sure that hiring us will not only save you a lot of time but save you a lot of money. For instance, when you’re moving home to Cambridge, packing will be one of the main jobs you will be required to do. You will not only need to buy all the materials but spend endless hours trying to pack everything as best you can in the hope your precious household belongings don’t get broken. Well, our removals business can take care of all that for you. We can supply an endless array of packing accessories and packaging materials all from one place so you don’t have to go running around searching for everything here, there and everywhere. We can also help you with the actual packing itself when you choose to use our highly regarded packing and unpacking service. Our specially trained team of professional packers can pack your household items away in an expert and efficient manner. All of which means you can end up saving time and money in the long run when you’re moving house from London to Cambridge. Cambridge itself is famous for its university but there’s so much more to this city. 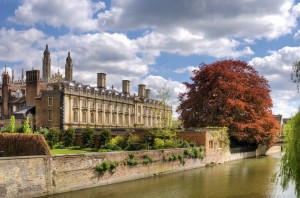 Situated on the River Cam, it’s the administrative centre of Cambridgeshire and has a population of approximately 130,000. It is around 50 miles north east of London lying just south of The Fens. It has many suburbs, some with areas of high-density housing. The centre of Cambridge however is full of historic buildings as well as being an important commercial centre. It also has large green areas such as Midsummer Common, Jesus Green and Parker’s Piece. Much of the city centre is pedestrianised. 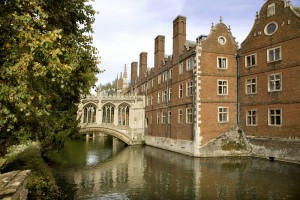 The world-renowned University of Cambridge was founded in 1209. Whether you’re moving home or organising an office relocation to Cambridge, we can help you with other aspects of your removals from London. We have a vast range of storage space for example which is not only safe and secure but very affordable. Hiring our storage facilities long-term or short-term immediately gives you many more options when relocating to Cambridge. What’s more when you hire our removal carrier, we can answer any questions or queries you have which can make moving home to Cambridge that much easier. So why not get in touch with us and tell us what you are looking for in particular when moving from London. When you phone you can hear our free personalised quote and hear more reasons why we’re the best removals firm for price and service when you’re moving from London to Cambridge. Call Moving Service on 020 8746 4402 now.